Access Elevator Shaker Panels are made in the USA with expert workmanship and engineering specifications. Our Shaker Panels from Symmetry Elevating Solutions can be selected in Birth, Maple, Oak, Cherry and more to match the millwork in any home. 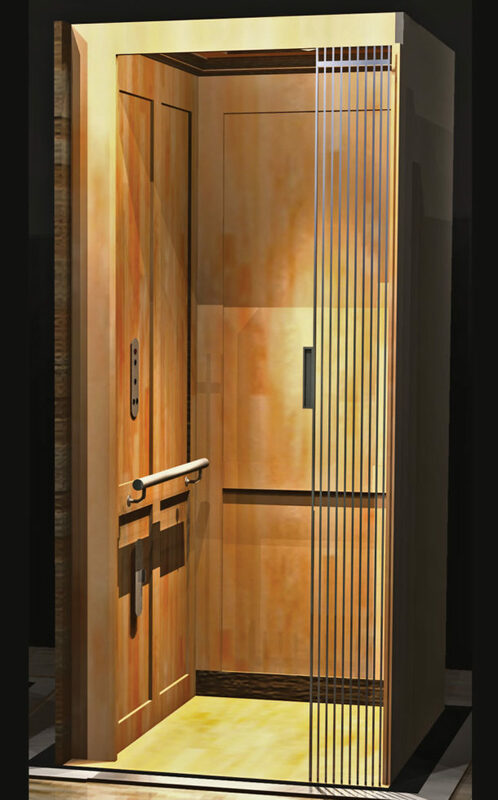 Our Shaker Panel Home Elevator features a solid, hardwood center with an inset hardwood veneer. One of our most popular styles, Shaker Panels offer a touch of simple, elegant touch to your cab interior.